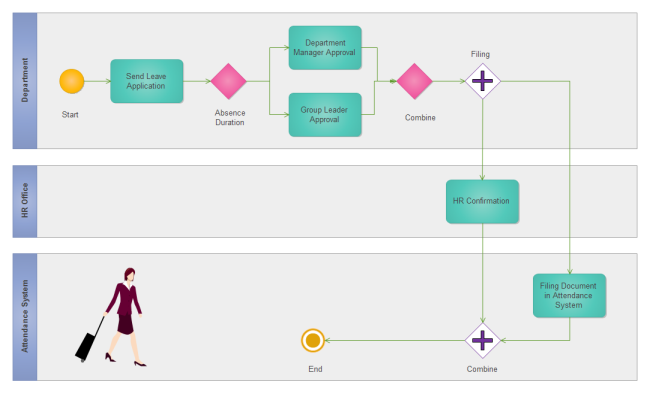 Description: A free customizable leave request procedure BPMN template is provided to download and print. Quickly get a head-start when creating your own BPMN diagram. Aiming to ease the design process and save time for users, this template is provided in vector format for free use.